To: House Committee on Environment and Habitat, House of Representatives, National Assembly Complex, Garki Abuja, Nigeria. Reject the Bill for an Act to Amend the National Biosafety Management Agency Act 2015 to Enlarge the Scope of the Application and Include Other Evolving Aspects of Modern Biotechnology in Nigeria. Health of Mother Earth Foundation (HOMEF) is an environmental/ecological think tank and advocacy organization. Our work is rooted in solidarity and in the building and protection of human and collective dignity. We believe that there are deep threats to our food systems, biodiversity and overall ecosystems in our nation due to considerations and policy actionsthat are not anchored on the right of our people to a safe and healthyenvironment. Nigeria should not dabble into these evolving aspects of biotechnology because we are still struggling with regulating the basic aspects of the technology – the first generation of genetically modified organisms (GMOs). 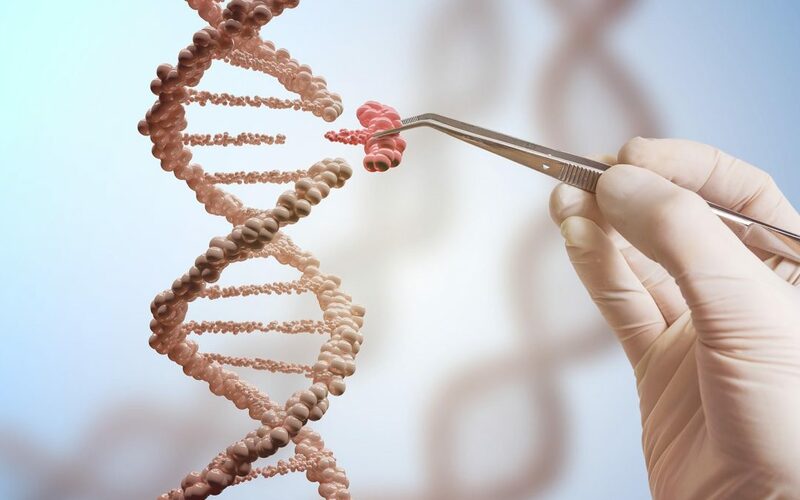 Enlarging the scope of the NBMA Act to include evolving aspects of the applications of biotechnology is a tremendously dangerous proposal that would compound the risks already posed by the basic application of the first-generation technology. Including these applications in the Act indicates opening the doors to the products of these dangerous technologies. The use of gene drive organisms has potential of wiping off whole species of organisms. Gene drives1 are a genetic engineering tool that aim to force artificial genetic changes through entire populations of animals, insects and plants and unlike previous genetically modified organisms (GMOs) these gene drive organisms (GDOs) are deliberately designed to spread genetic pollution through generations of species. We note that this poses a severe threat to biodiversity, ecological systems and environmental sustainability. The global food and agriculture movement opposes release and experimentation of gene drives. They advise that the use of gene drive organisms will entrench a system of genetically- engineered industrial agriculture, extend agro-toxin use and foster corporate control over global food systems, undermining the food sovereignty of farmers, food workers and consumers2. The ethical, cultural and societal implications of gene drives are particularly complex and challenging. The ability of these new technologies to alter populations within short time frames and rapidly cause extinction, make them important biological weapons and a threat to global security3. At this time there is no agreement on how to carry out risk assessments or establish risk management measures for gene drive organisms nor clear guidelines on how to establish that appropriate, free, prior and informed consent of affected local communities is in place. With Gene drive experimentation already slated for other countries in West Africa and given that gene drive organisms can spread across political borders, this should be of significant concern to our lawmakers. Until a global agreement is reached on how to carry out risk assessments exist, we would be concerned that any new framework enabling new gene-edited changes might also have the effect of creating loopholes allowing for gene drive organisms release unless there is aclearly statedprohibition. By this definition, doors will be open for all sorts of synthetic organisms to be released or experimented in Nigeria as long as they have traits that can be found in nature although these organisms themselves are in no way natural. This is a loophole that will be harnessed to bring in every kind of dangerous and artificial product. We have to critically look at this because synthetic biology applications have tremendous implications for local economies and biodiversity. Natural products will be replaced with synthetic (unnatural) ones and markets will be concentrated in the hands of corporations thus increasing corporate control over the product processes7. In addition to the negative impacts on local livelihoods, ecosystems and cultures, synthetic biology processes themselves may create unexpected contaminants, toxins or allergens that may be hard to control8. HOMEF believes that Nigeria is ill prepared to handle these extreme technologies. The fact that CRISPR/Cas9 in the Amendment Bill is written as CRISPR/cast9 and ZFN is referred to as ZFM suggests that the promoters of this Bill and extreme technologies may not have sufficient understanding of what they are pushing for. This is the more reason we have to exercise caution. We agree that the NMBA Act which was established in 2015 needs amendment but such amendment should be to protect the health, environment and economy of the Nigerian people and not to enlarge the avenue to be used for more risky experimentations. The NBMA Act, 2015 in its present form has flaws that must be addressed such as the absence of provisions for strict liability and redress which mandates that the biotechnology corporations take responsibility for immediate and forthcoming negative impacts of use of their products as is the case in a similar Act in Uganda. In addition, too much discretionary powers are given to the agency on processing of applications on modern biotechnology. There should be put in place, chain regulatory system that actually involves major regulatory bodies such as the National Food and Drug Administration and Control (NAFDAC), Standard Organisation of Nigeria (SON) and the Consumer Protection Council (CPC) to ensure more thorough regulation of the technology. It is hard to imagine an unbiased regulatory regime, with the board of the agency populated by promoters of modern biotechnology. Our stand on this proposed bill is that the current regulatory system should first be strengthened. Or better still, we recommend an outright prohibition of the dangerous, evolving technology. An amendment of the Act to include evolving or extreme aspects of modern biotechnology will mean an unhindered movement of these products into Nigeria as the current biosafety regulatory agency acts as a promoter of the technology rather than an unbiased regulatory body. We ask Hon. Obinna Chidoka and other supporters of the NBMA Amendment Bill to call it off in consideration of the highlighted risks that adoption of extreme biotechnology poses to food webs, ecosystems, biodiversity, our national economy and overall human and environmental safety. Our focus should be on strengthening the present biosafety system, investing in research on agricultural systems that upholds indigenous knowledge, protects livelihoods and ensures food sovereignty.